Wombling Free. URLs are used in all sorts of ways, but once released into the wild they are free. Making good use of the things that we find. Good URLs are built from the content of a page, and describe what can be found there. Things that the everyday folks leave behind. Good URLs reflect the content of the page - even if that content is user generated. Wombles are organised, work as a team. Pay attention to consistency; the user should be able to predict where a page will be. Wombles are tidy and Wombles are clean. Avoid cruft and anything that exposes the technical implementation of your site. People don’t notice us, they never see; under their noses a Womble may be. Good URLs are natural and go unnoticed because they create no new problems. We womble by night and we womble by day, looking for litter to trundle away. Good URLs are as short as possible; containing all the required information but no more. 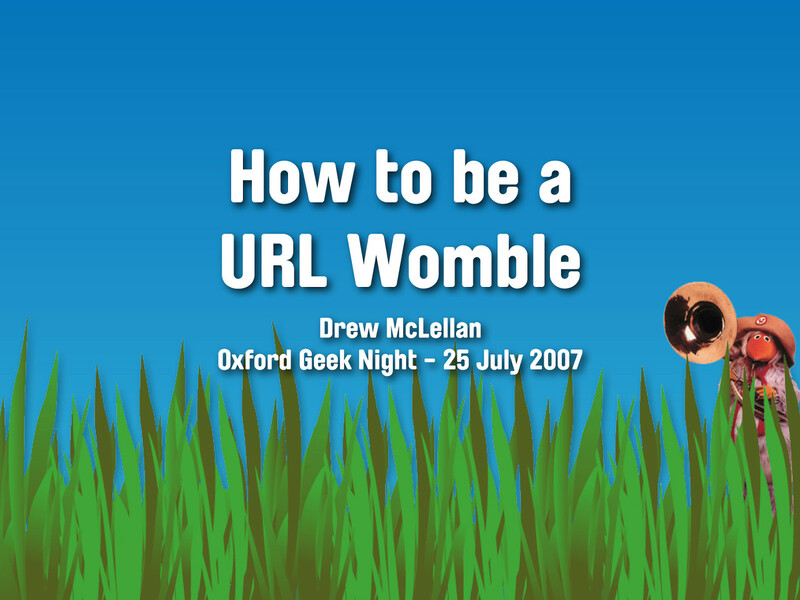 View How to Be a URL Womble on Notist.